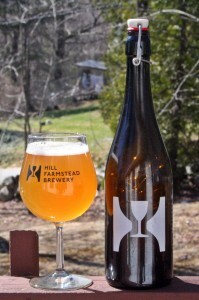 On a recent trip to Hill Farmstead there were three beers available that I had not tried before. Rarely do I go to Hill and find even one beer that I have not tried so getting three new beers was a treat. Two of these beers were from Shaun’s single hop pale ale series. Seems like a lot of breweries are doing Mosaic single hop beers with recent reviews of Trillium and SoMe and an upcoming review of Mozaccalypse from Stoneface. I am really enjoying this hop as it seems to work well for aroma, flavor and bittering. Hill’s version is a pale ale with a low 5% ABV but the hops still shine. 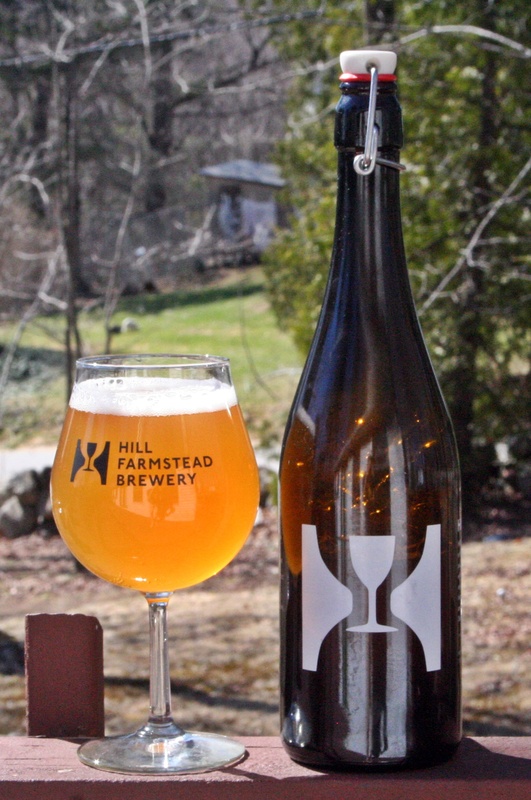 Appearance is typical of Hill Farmstead’s beers with the bright unfiltered orange. Aroma has lots of tropical and citrus which follows through to the taste. In addition to the fruits you get a light bready malt. All of this combined with the perfect carbonation and clean finish make this a near perfect pale ale. Brewers Description: An American pale ale bittered, flavored, and dry hopped exclusively with Mosaic hops—a Simcoe offspring—you’ll find mango, lemon, citrus, earthy pine, tropical fruit, herbal and stone fruit characteristics.